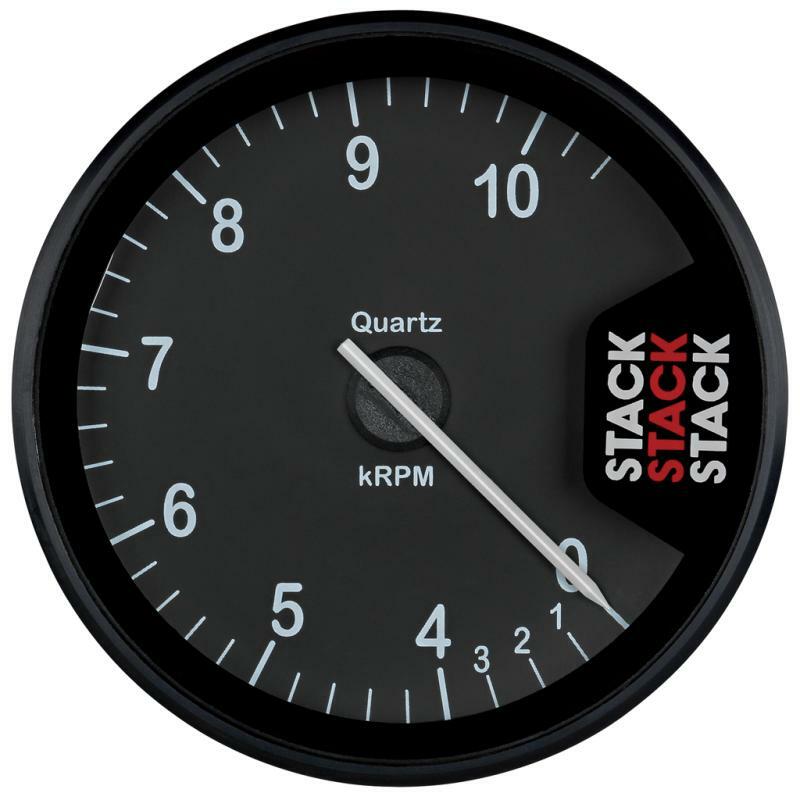 For the serious performance enthusiast, the 80mm sized ST200 Clubman tachometer features the unique, extremely rugged STACK stepper-motor movement, with Digital Quartz accuracy for unparalleled precision. Configurable for most engine types utilizing standard and magneto style ignitions, Stack Clubman tachometers come standard with Peak RPM ‘Tell-Tale’ memory, and a built in shift-light activation circuit. Stack panel and dash mount shift lights available separately. Perfect accuracy guaranteed for life. Suitable for all engines and ignition types. Fully water and dust proof. Features a maintenance free white LED backlight. Includes a comprehensive installation kit and manual. Maintenance free White LED backlighting on all ST200 models. Optimising gear shifts is one of the most effective means of reducing lap times and these easy to fit options complement the Tachometer in helping the driver achieve perfect shifts. All models user configurable to individual engine and ignition systems. The black dial ST200’s will now be supplied with a white needle, and white backlighting. The white dial ST200 will change to white backlighting, and an orange needle.